So you’re interested in setting up a cleaning business and are probably looking for some general information on how and where to start. Don’t worry you’re not alone. The cleaning business industry continues to thrive all over the globe. During the slow somewhat recession time of 2009 it seems that cleaning companies for the most part were able to sustain their business. Think about this for a second! If you provide cleaning services to a business, there is a good chance the service you provide will be essential. Your clients will most likely need to maintain a professional image at all costs in order to avoid losing business. Setting up a cleaning business is a great move and we’re going to teach you the 3 most important steps before you do anything. The first and most important step in setting up a cleaning business will be in deciding what your business name will be. This step is key because once you register your cleaning business name, there’s no turning back without spending some money to redo all of your marketing materials. But it’s more then that. In fact your cleaning business name alone may be responsible for growing your cleaning business just because it reflects a great brand. So take some time and come up with a name that really makes a statement to your potential clients. Something that resonates with them and you’ll be well on your way to growing a great cleaning business. The next step in setting up a cleaning business is your logo. And just like your cleaning business name, your logo will tell your customers exactly who you are and what you do. Your brand is what will sell your cleaning services when you’re not selling them. People who see your logo somewhere and know what it represents are more likely to contact you in the event they need your cleaning services. You’ll be amazed at where people see your logo. One of your employees may walk into a bank to deposit a cheque and have their uniform on. Standing next to them may be a top level executive who notices the logo and immediately remembers it. Guess what’s going to happen the next time that person needs a cleaning service? Well I’m sure you can figure it out! And the final step in setting up a cleaning business is you need to have a website. We now live in the information age where people can get any information they want online and quickly. You must be in front of them. 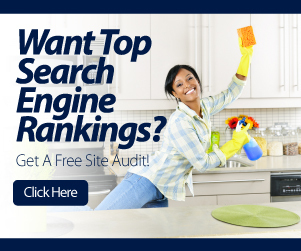 People who find your website online are more likely to do business with you because there’s a good chance they were looking for a cleaning company. But having a website is not good enough. You need something highly customized that converts visitors into customers. Any investment you make into building a great looking website will separate you from your competitors, and will pay for itself many times over with continued customers. Just make sure you implement some search engine optimization. If your looking for some help in setting up a cleaning business, give us a call. We specialize in building cleaning businesses worldwide by providing them with highly custom logos, gorgeous cleaning business websites, and of course seo plans for top search engine rankings.